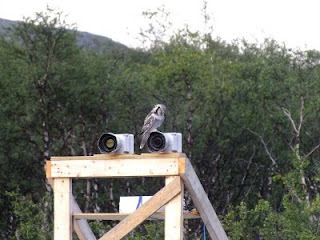 I had been told there was a pair of hawk owls breeding somewhere near the KAIRA site, then Derek and Juha saw them one night when they were on site late, so I went along the next night to try to see them and managed to get a few photos. 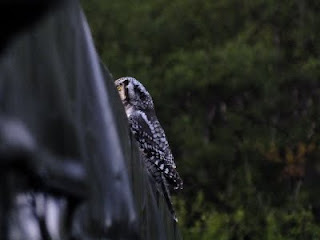 On a couple of nights we had spotted several young northern hawk owls flying around the site. 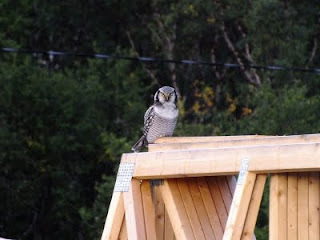 There was even a photograph of one of them earlier. 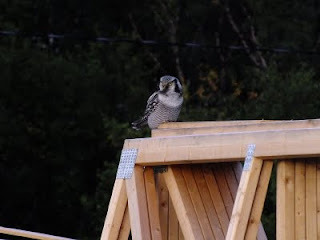 The young birds were just learning to fly and did all kinds of silly crash landings and such while they where checking us out. Stuart managed to get some very nice pictures on one of the nights. 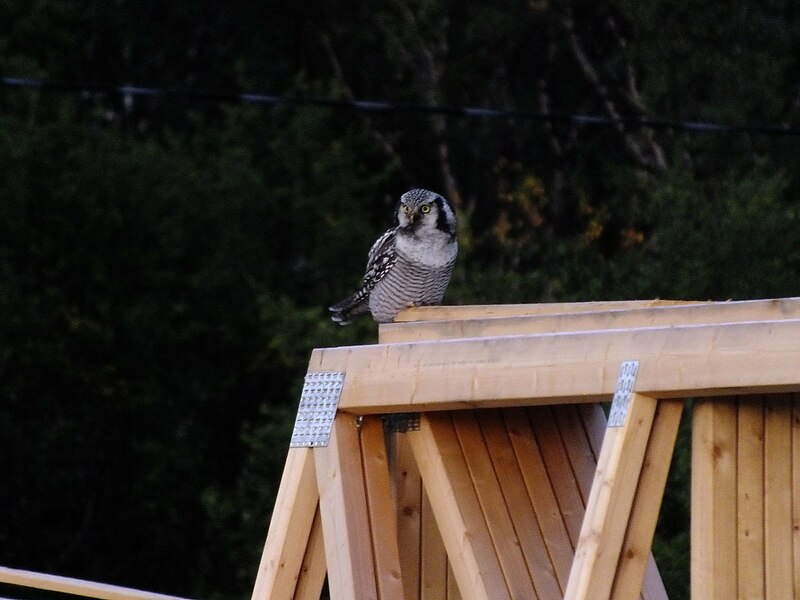 In Finnish these birds are called "hiiripöllö", which means mouse owl. On his last day, Stuart even built a nesting box for the owls. Their presence will hopefully keep the small rodents from chewing on our cables. Hawk owl sitting on top of the 3D cameras.